Mount Hermon, located in the Occupied Golan, is trying hard to present itself as a unique destination for Israelis and foreign tourists alike. 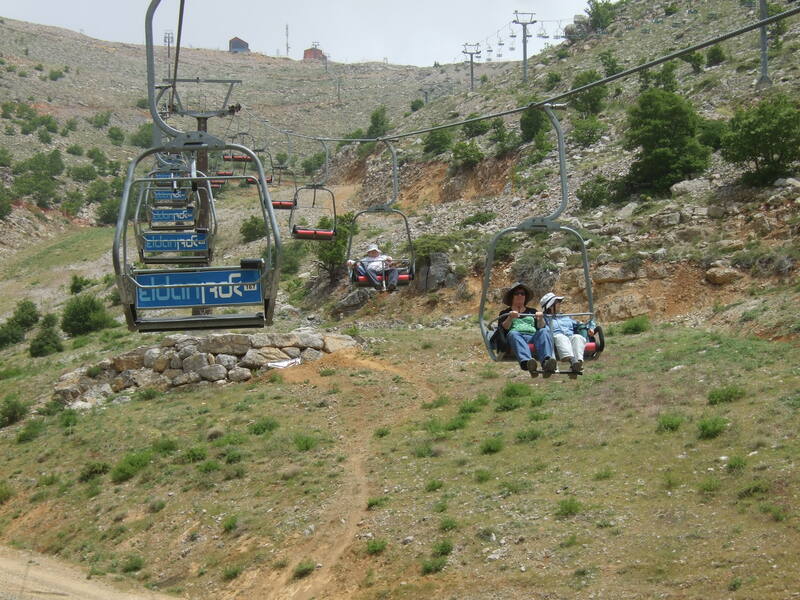 Promoted as the only ski resort in Israel, the mountain slopes of the Hermon is busiest in the winter, when visitors can participate in various skiing activities. In the summer it is popular with hikers, and a new bike track was recently opened for adventurous cyclists. Although Israel’s occupation of the Golan is sometimes less visibly repressive than in the West Bank -most notably through the lack of checkpoints- it would be a mistake for any holiday makers to fool themselves into believing that a trip there does not make them complicit in the same brutal occupation. 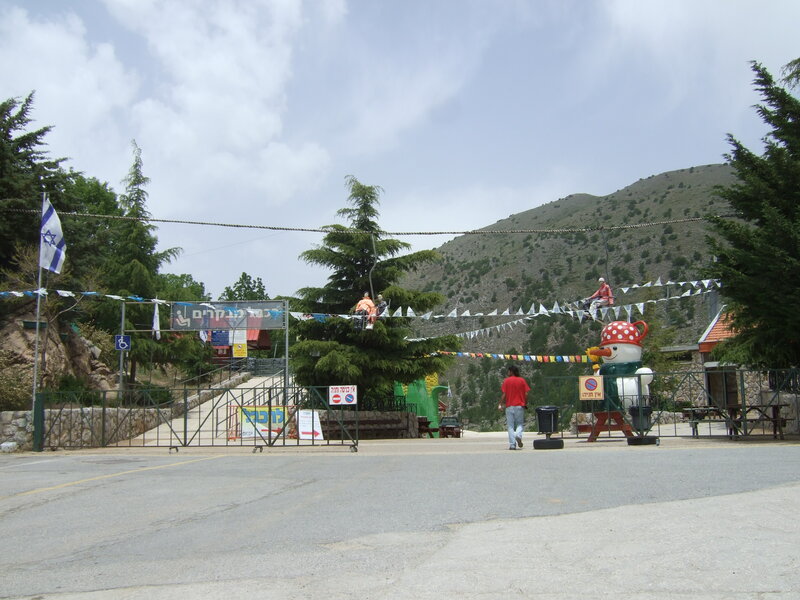 Despite its proximity to the Syrian Druze town Majdal Shams, any business on Mount Hermon is tightly controlled by the Israeli mountain top settlement Neve Ativ. Neve Ativ is build on the land of the Syrian village of Jubata ez-Zeit, completely razed by the Israeli’s after six day war. Visiting the southern, occupied part, of Mount Hermon, it is easy to see why Israel are so desperate to exercise full control of the resort, located as it is between Lebanon, Syria and the Golan. 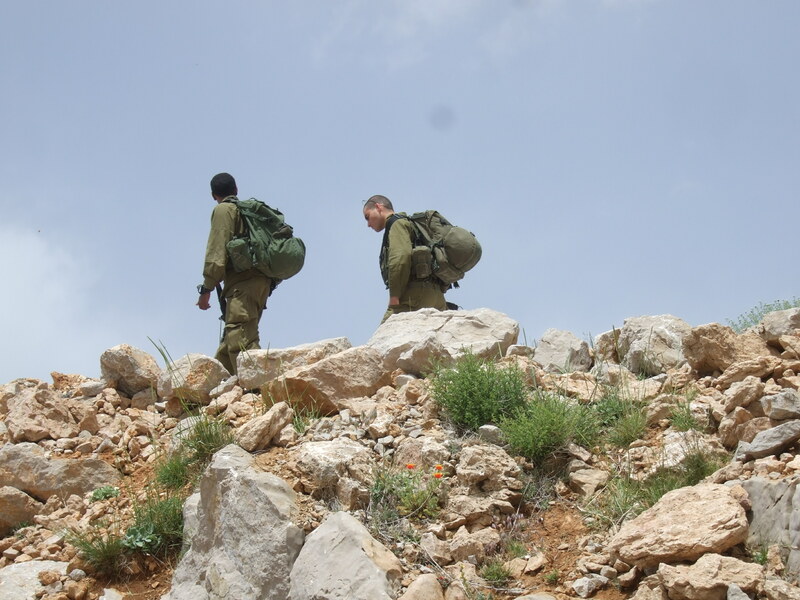 Despite Israeli propaganda highlighting the possibility for nature adventures, the impression that any open eyed tourist would leave with is of an occupied territory under heavy military control. For instance, after taking in the breathtaking views of a flowering landscape whilst riding the cable cars up to the mountain top, visitors are met with a closed military zone, patrolling soldiers and a state of the art military base and can expect suspicious looks if paying too much attention to the views on the Syrian or Lebanese sides of what Israel consider the border. This, of course, is something that Israel themselves are proud of and highlight as just another point of interest for visitors. 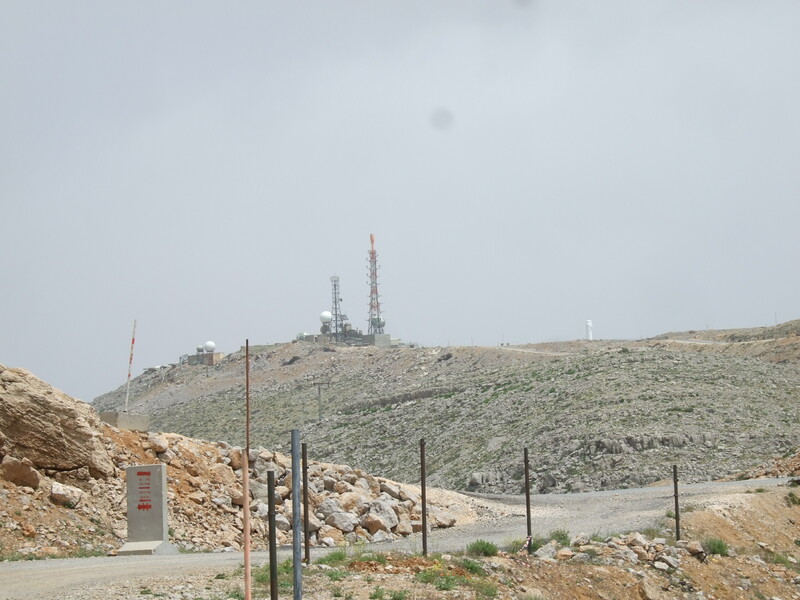 As one of the web-sites dedicated to Mound Hermon tourism states: “The highest point of Mount Hermon is home to sophisticated and latest technology Radar and Tracking systems of the IDF who are part of our strategic advantage over Syria” ( http://www.hermon.com/mt_hermon/ ). Whilst most of the companies who operate within the resort seemed to be small Israeli settlement firms, one vital piece of technology is provided by an international company willing to aid the occupation through their experience in winter sport tourism. When you ride the cable cars up the mountain, it is Austrian ELIN Seilbahntechnik which keeps you moving. 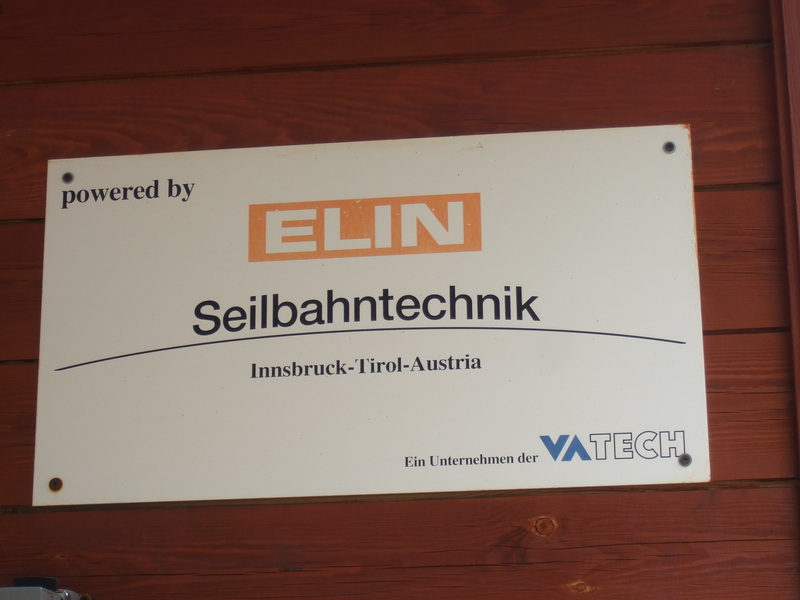 ELIN Seilbahntechnik is one branch of the engineering and infrastructure company VA TECH ELIN EBG GmbH -itself a subsidiary of Austria’s large VA Technology.